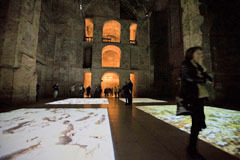 Eike’s work of art ranges from light art to videos, computer graphics and 3D-simulation, from photos and site specific installations to computer-based media art. In the focus of his interest stand spatial relations: space and time, reality and abstraction. Eike Berg lives and works near Munich. The art works by Eike Berg are represented by the Erika Deák Gallery in Budapest. Eike Berg is presented on Blinkvideo. 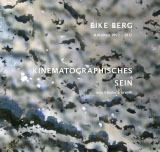 in German language including the description of 30 art works, the essay "Eike Berg: Cinematographic Being by Sándor Hornyik" as well as earlier reviews and a graphic cv. The English version will be published approx. in Summer, 2019. 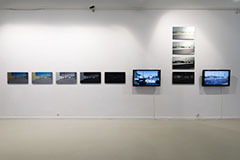 Participation at the show "Mediascape, a pas de Nam June Paik" at the Nam June Paik Art Center in Yongin-si near Seoul, Korea. 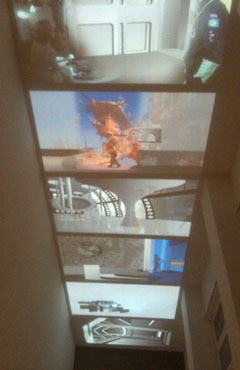 Presentation of Cube, Utopia (single channel version) and Diary Entries 1-6. Participating artists: Jeremy Bailey, Eunji Cho, Sunghun Choi + Sunmin Park, EIKE, JODI, Kichul Kim, Shinil Kim, Kristin Lucas, Dan Mikesell, Marisa Olson, Nam June Paik, Yuri Suzuki, Jan Verbeek, Bill Viola, and Minha Yang. 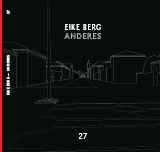 This site contains documentation and information about the artwork by EIKE. All rights reserved by © EIKE. 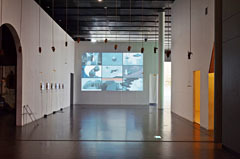 The art works by EIKE are represented by the Erika Deák Gallery.